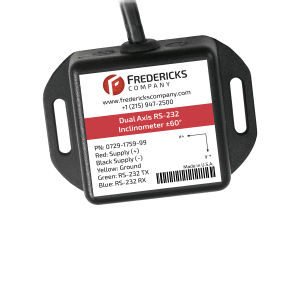 The 0729-1759-99 RS-232 inclinometer utilizes a Fredericks TrueTILT™ wide-range electrolytic tilt sensor and RS-232 signal conditioner. Its robust plastic housing and epoxy potting provide excellent durability and environmental protection. 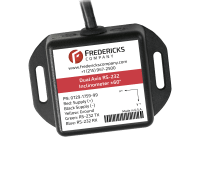 This inclinometer has superior tolerances and unit-to-unit performance. Its small profile and economic design make it an ideal solution for a versatile range of applications in all sectors.